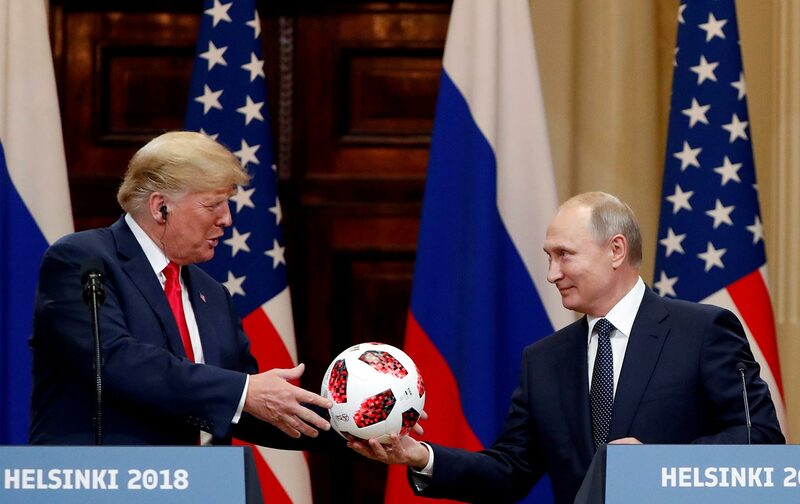 Katrina vanden Heuvel argues that Trump’s meeting with Putin in Helsinki on Monday might have brought progress on nuclear-arms control and conflict reduction in Syria; but when Trump argued that the US and Russia were “both…responsible” for Russian interference in the 2016 election, he squandered the opportunity—outlined in the “Common Ground” open letter published in The Nation, and signed by two dozen prominent figures including Gloria Steinem, Noam Chomsky, John Dean, Governor Bill Richardson, Walter Mosley, Michael Moore, and Valerie Plame. Plus: John Nichols examines the record of Trump’s Supreme Court nominee, Brett Kavanaugh, and assesses the progress of the effort to block his confirmation by the Senate. Also: UCLA law professor Adam Winkler explores the long and terrible history of how corporations were given rights by the Supreme Court—all the same rights that people have. Adam’s book is We the Corporations: How American Businesses Won Their Civil Rights.